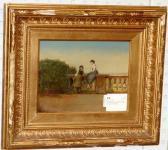 Find artworks, auction results, sale prices and pictures of Johan Frederik Rohde at auctions worldwide. 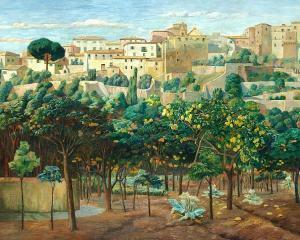 Orange trees in Terracina. 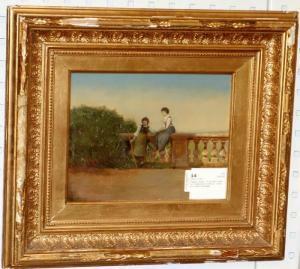 Signed and dated Johan Rohde 1902 Terracina. Oil on canvas. 78 x 98 cm. 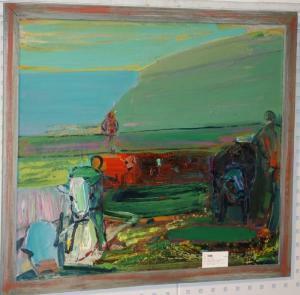 Exhibited: Kunstforeningen, "Johan Rohde", 1987 no. 27 reproduced p. 13.Odense Bys Museer, Storstrøms Kunstmuseum, Bröhan Museum, Berlin, "Johan Rohde Ars Una", 2006 no. 32 in Dk and 41 in Berlin, reproduced p. 80.Provenance: The author H. P. Rohde. 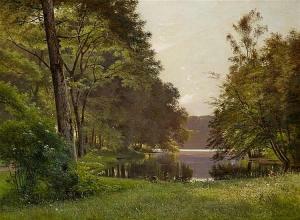 Description: Rohde, Frederik (1816 Copenhagen - 1886 Frederiksberg) Lake Scenery in Summer.Oil on canvas. 60 x 80cm. 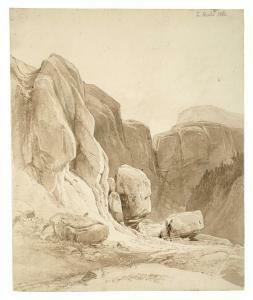 Signed and dated lower right: F. Rohde 1873. Framed.